Aboriginal land rights have been articulated and fought for by generations of Aboriginal freedom fighters, activists, unionists, campaigners, community groups and their supporters for more than 200 years. Why did land become a central battleground? Why is the suppression of Aboriginal resistance still a priority for government and industry? How can the struggle win? Prior to the invasion of the Australian continent, the industrial revolution had brought about a social revolution in England. The commons were enclosed; peasants were pushed off their land and forced to join the growing army of workers in the poverty and misery of the towns. Private property became sacrosanct and secured with draconian laws. This huge social upheaval extended into the colonies. Following the US war of independence, England could no longer send her growing numbers of convicts to North America. After an attempt to transport them to west Africa failed, the authorities decided to establish a convict colony in Australia. The settlement was also intended as a base for whaling ships and to protect British interests in the Pacific. The arrival of the First Fleet brought a new social order; a class society based upon the accumulation of wealth and property, exploitation of labour (first in the form of indentured and then waged labour), individualism and, of course, oppression and inequality. By contrast, Aboriginal society was egalitarian. Aboriginal people had a fundamentally different relationship with the physical environment and to each other than the European invaders. Economies and settlement patterns were diverse and based upon particular forms of land use. This relationship is commonly characterised as hunter gatherer, although there is growing evidence that there were more agrarian types of land management. There are other examples. For thousands of years, the Gunditjmara people of Western Victoria flourished through their ingenious methods of channelling water flows and systematically harvesting eels to ensure a year-round supply. The Gunditjmara lived in permanent settlements. The area shows evidence of a large settled Aboriginal community dating back thousands of years, farming and smoking eels for food and trade in what is considered to be one of Australia’s earliest and largest aquaculture ventures. The eel traps and weirs are some of the oldest human constructions on the planet. The Gunditjmara used the eels for their own needs and as a currency when trading with neighbouring Aboriginal people. This provided an economic basis for the development of a settled society. This relationship to land meant that work for Aboriginal people was also different. People worked only until they had enough to satisfy their immediate needs. Although some people had a special status, there was no entrenched subordination of women, and there were no class divisions. The capitalist imperative to work and accumulate wealth as ends in themselves did not exist. The story of land rights is, at its heart, about the brutality of invasion and the imposition of a foreign social system on the continent. A clash was inevitable because the capitalist mode of production – based on private property, class division and competition – was incompatible with the existing set-up of collective stewardship and egalitarianism. Violence, ranging from small clashes to calculated and systemic genocide, occurred in many regions. This onslaught was often met by armed resistance. The invasion was not a single event; it took place region by region in a series of uneven steps. Disease was first. Smallpox decimated the clans around Sydney. From Port Jackson, the disease spread over the mountains and along the networks of people living along the Murray and Darling River valleys. Influenza, measles and other diseases followed. The result was depopulation and disorganisation. Yet survivors regrouped and stayed on their land. Physical invasion was next as Europeans took land for agriculture and brought their sheep and cattle for grazing. Often this was prime land that was vital for sustaining Aboriginal communities. There are many other examples of Aboriginal people defending their land from invasion. Along the coastal areas, throughout the grass lands, along the Murray and through to the north-west, fierce struggles took place. When Europeans arrived on Gunditjmara land in the 1830s, they established new forms of land management. The existing social systems based on communal ownership of land and egalitarianism had to be destroyed. The Gunditjmara fought heroically for their land during the Eumerella wars, a guerrilla struggle that lasted 20 years. The types of industry that the Europeans introduced shaped the nature of Aboriginal oppression and the resistance to it. Pastoralists sought massive areas of grazing land. For the industry to expand and succeed, the removal of people – whose social system was an impediment to industrial development – was necessary. The integration of the new colony into the rapidly developing British economy via the wool trade drove the dispossession. The early frontier wars were just the beginning. An Aboriginal working class began to emerge from the earliest days of colonisation. For instance, Aboriginal people worked (sometimes as slaves) in the maritime industry as sealers or on road crews. Key sections of capital became dependent on Aboriginal labour, particularly in rural areas, where labour could be scarce. This brought incredible oppression but also meant that Aboriginal people were able to develop their industrial muscle and organise collectively. From the 1880s, Aboriginal people became active in the union movement, organising alongside, and at times leading, their white counterparts. This opened up the possibility of solidarity between Aboriginal and non-Aboriginal workers. The post-World War Two years brought immense change and ushered in a new period of Aboriginal struggle. Coinciding with a generalised working class upsurge, Aboriginal people were drawn into the working class in significant numbers. Many rural Aborigines made their way into the urban centres such as Fitzroy in Melbourne and Redfern in Sydney. In the Northern Territory, many people took jobs with the army; many rank and file white soldiers were critical of the harsh conditions Black people faced. Soon after the war, Aboriginal workers organised a number of important strikes in the Northern Territory and, most famously, the Pilbara strike in Western Australia. This was the first Aboriginal industrial dispute to gain mainstream prominence. Beginning on 1 May 1946, it affected 6,500 square miles of pastoral country. Communist Party activist Don McLeod and Aboriginal leaders Dooley Bin Bin and Clancy McKenna were jailed, because it was illegal to “entice Aborigines from their employment”. Support for the striking workers was raised in Perth and from unions, and a march on the jail by the strikers forced the government to back down. Clancy and Dooley were freed and McLeod was given a small fine. This dispute marked an important breakthrough for Black rights. Aboriginal people had united across tribal boundaries and called for, and received, the support of white trade unionists. The Pilbara strike became the longest strike in Australian history, with the Aboriginal stockmen victorious after three years. The Aboriginal people of the Pilbara had successfully challenged the Australian ruling class and won. To this point, many of the struggles that had taken place were focused on gaining civil rights, equality before the law and an end to legal and social discrimination, but now the long-standing question of ownership of land again took centre stage. It was this struggle and then the Gurindji strike that laid the basis for the modern land rights movement. Since the very early days of colonisation, racism has been a key ideological tool that British and then Australian capitalists have used to maintain their rule. It was inherent in the system imported here in 1788, and it remains part of the system today. Racism is a reflection of the material interests of the capitalist class and the ideological tool used to justify genocide and the continuing expropriation of Aboriginal land. But racism provides other advantages for the capitalists: it can prevent working class sympathy and support, which is vital if oppressed groups are to fight back and win. When workers are divided by ruling class ideology, whether that’s racism, sexism or homophobia, it is more difficult to unite and fight back against the common enemy. Racism is a weakness for our side but a key strength for theirs. That’s why the fight against racism is not just a fight to support Aboriginal people – it is a fight to unify the working class so that it can more effectively fight against the system. So the struggle against oppression in all its forms is not secondary for Marxists, or even separate from the class struggle. It is a crucial part of the class struggle. Recognising that the bosses and their system are the cause of racism and genocide is vitally important. Capitalism continues to be the source of the oppression of Aboriginal people. 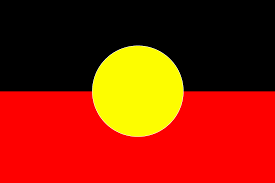 That oppression can be seen in myriad ways: the proposed closure of more than 150 remote Aboriginal communities in Western Australia, the Northern Territory intervention, the stealing of children, the deaths in custody, the attacks on the Aboriginal Legal Service and the shamefully high infant mortality and suicide rates that Aboriginal communities suffer. Because Aboriginal people today make up a small percentage of the total population – around 3 percent – it will take a political and industrial campaign involving large numbers of non-Aboriginal workers as well as Aboriginal people to force the employers and governments to give anything other than the most token concessions. The working class, which includes the majority of Aboriginal people, has the potential to lead a struggle in the interests of all those who suffer injustice and oppression. This is not because the working class is morally superior, but because it has the social power to challenge the system of profit. Socialists stand unequivocally with Aboriginal people in their struggle for land rights, self-determination and social and economic justice. We do so not simply because that struggle is right and just, but also because we face the same enemy, the same system, and need unity to win. Murri activist and artist Lilla Watson once said: “If you have come here to help me, you are wasting your time. But if you have come because your liberation is bound up with mine, then let us work together.” That’s a sentiment we agree with.